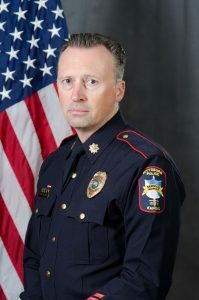 The City of Pittsburg has announced that Major Brent Narges has been appointed interim chief of police for the City of Pittsburg Police Department. Narges will succeed Chief of Police Mendy Hulvey, who announced her retirement in March, effective June 29, 2018. Narges has served 22 years with the Pittsburg Police Department and 14 years in his previous role as deputy chief of police.